I've been lingering on leopard print pants ever since I fell in love with this look, and I've finally decided that it's time to stop procrastinating and go shopping;) From slouchy drawstring styles to skinny jeans, there is no lack in options when it comes to leopard pants at the moment, and lucky for us there are plenty of ways to wear each style! 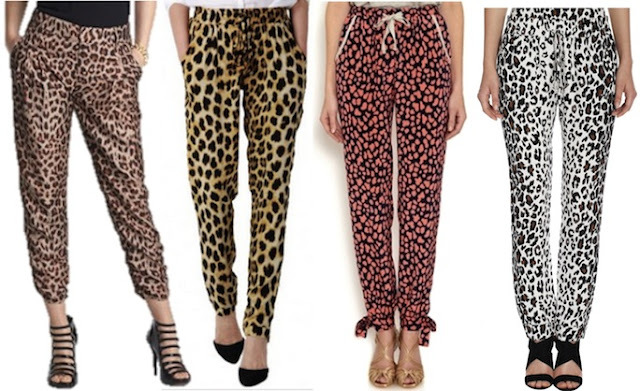 Slouchy: Embrace the slouchy pant trend with a leopard print. Where drawstring leopard pants with a t-shirt and statement necklace on the weekend and throw on a blazer and heels to turn them into an unexpected and comfy office look. 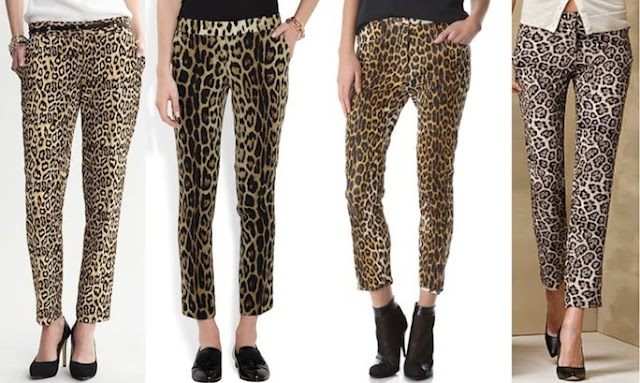 Tailored: Sleek and chic is the name of the game when you wearing straight leg leopard print pants. The neutral print makes them a great alternative to standard black and also acts as a great base for mixing prints. 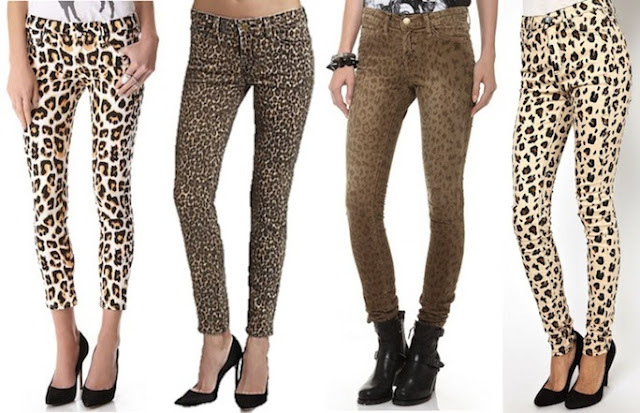 Jeans: If you are hesitant about leopard prints on your bottom half, a pair of skinny jeans (or cords) is a great place to start. A muscle tee for now and an oversize sweater for fall paired with leopard print denim will give you an effortlessly cool aura. So what do you think, will you be embracing your wild side with this trend? Oh my gosh, these are amazing options! I adore leopard print! These are amazing. These are so cool! Personally, I'm on the hunt for a pair of leopard booties! I don't think you can go wrong with Leopard anything this season and booties would be awesome! I don't think I'm bold enough to pull this off but I love seeing it on others. Cool post. OOhhh, fancy. I like 'em. Hmm would love to have something like this! I have some grey-on-grey leopard jeans that I really like, but I'm dying for a slouchy pair! im totally obsessed with a good leopard print!! totally following, follow back if ya like!! I might try a pair of jeans; still debating. I'm actually on the hunt for the a cool leopard print coat for fall.